Anorexia has the highest mortality rate of any psychiatric disorder (based on fifty years of research). Anorexia Nervosa is an eating disorder that consists of extreme weight loss due to self-induced starvation. Anorexia is a common mental health problem among young women, but effects all types of individuals internationally. The causes of Anorexia can be categorized as biological, psychological, or environmental. Bulimic behaviour typically stems from other mental health issues, traumatic life events, the desire to assert control, or the crave for weight loss due to low self-esteem or a distorted body image. Anorexia is especially prevalent nowadays due to the current focus on social media. The social media world can be dangerous, as many users tend to compare to others and self-criticize. Anorexia is mainly a psychological issue and therefore, therapy can be the most effective way to treat the disorder. Restricting and eliminating food intake are very dangerous habits. Your therapist will provide you with the tools to fostering a better relationship with food, which will greatly improve your mental and physical health. In addition, your therapist will work on mending your interpersonal relationships, as well as your relationship with yourself. They will also explore the root of your eating disorder, which is most likely related to body image issues or other mental health problems, and will work with you to resolve some of those internal struggles. Altering your thought processes surrounding these issues will allow you to live a healthier and happier life. Types of therapy offered for Anorexia at The Blue Tree Clinic? 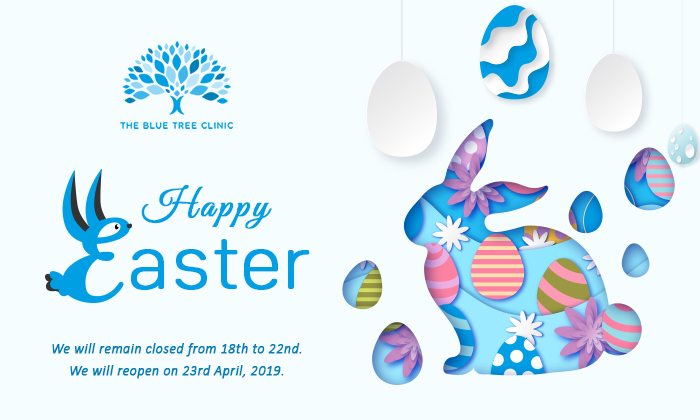 Between our talented Nutritionist and Psychotherapists, you will be in good hands at The Blue Tree Clinic. We know that eating disorders can be an extremely sensitive topic so we take a non-judgemental, caring and sensitive approach to ensure you feel comfortable with us. Your therapist will tailor the therapy to ensure you gain the most out of it, which may be from one therapy type of a combination of different types of therapy. The therapist will investigate what triggers your Anorexia, as well as helping you to develop new ways of thinking about your body. Your therapist will work in conjunction with you to help you via the use of tools and techniques which can then be applied into everyday life. Your therapist will also help you to try and prevent relapse from occurring and if so what to do to ensure it can be controlled. It is critical that you come in to therapy if you are suffering from Anorexia because your health, relationships, and life are at risk.